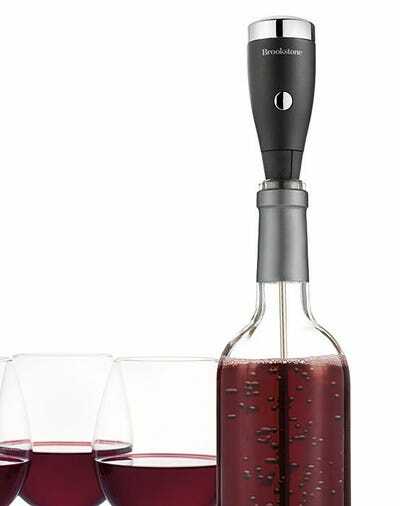 This is the Aero Wine Aerator from Brookstone. Why We Love It: Letting your wine breathe is nothing new, but Aero works in seconds by inserting the stem into a bottle of wine. Press a button and leave in the bottle or glass of wine for 30 seconds and it will mix in oxygen to soften tannins. 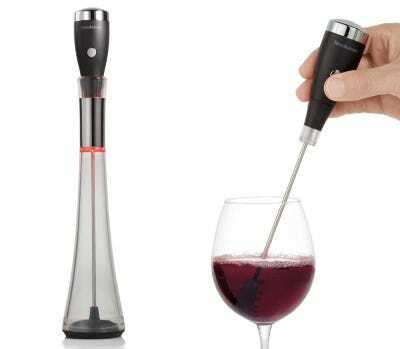 Approved by the Beverage Testing Institute in 2012, Aero uses two AAA batteries, has a built-in LED light, and includes two stems — one for full bottles, and a shorter option for glasses. Where To Buy: Available through Brookstone.